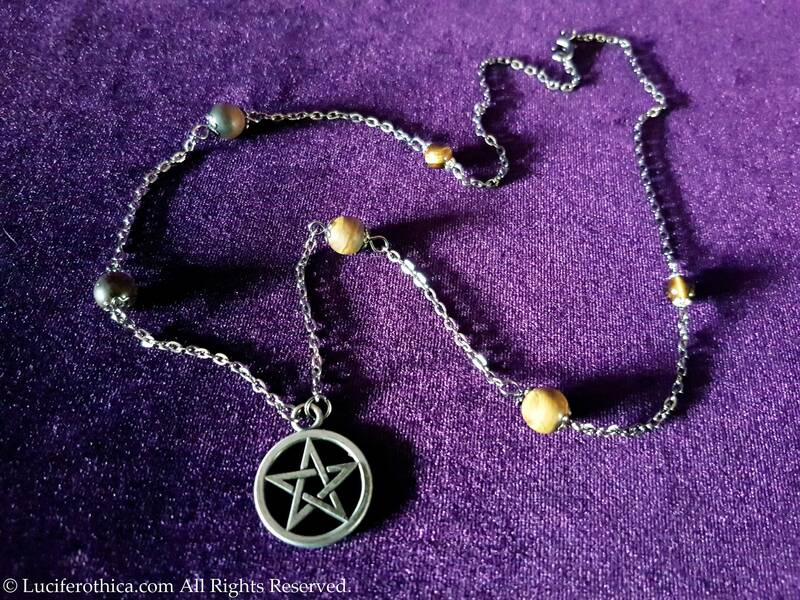 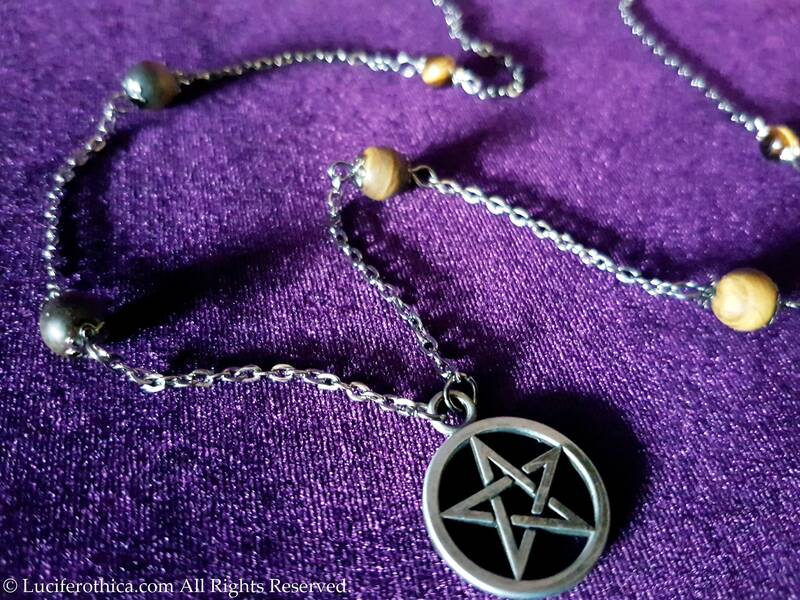 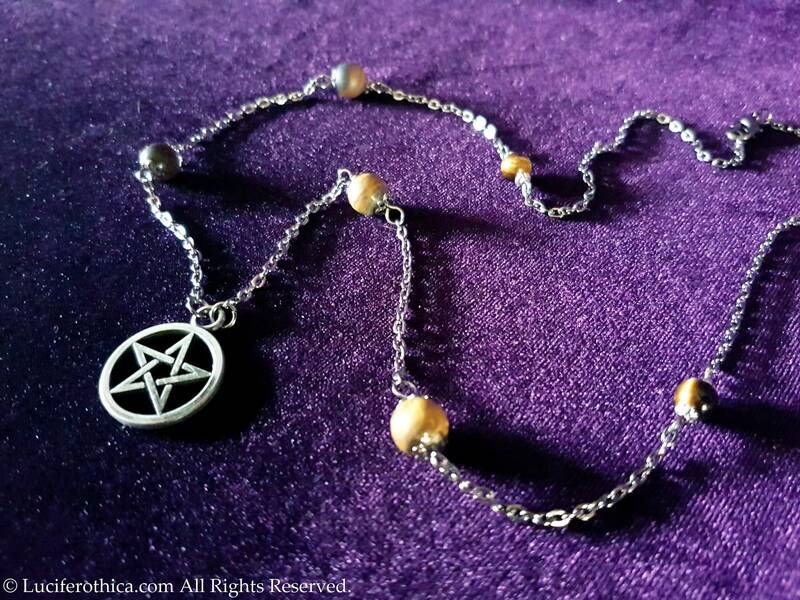 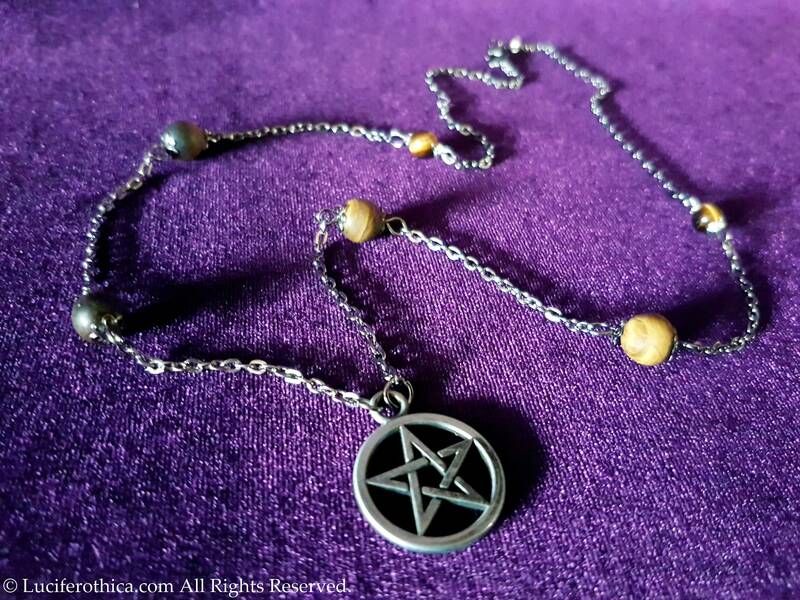 - Gunmetal colour pentagram and chain. 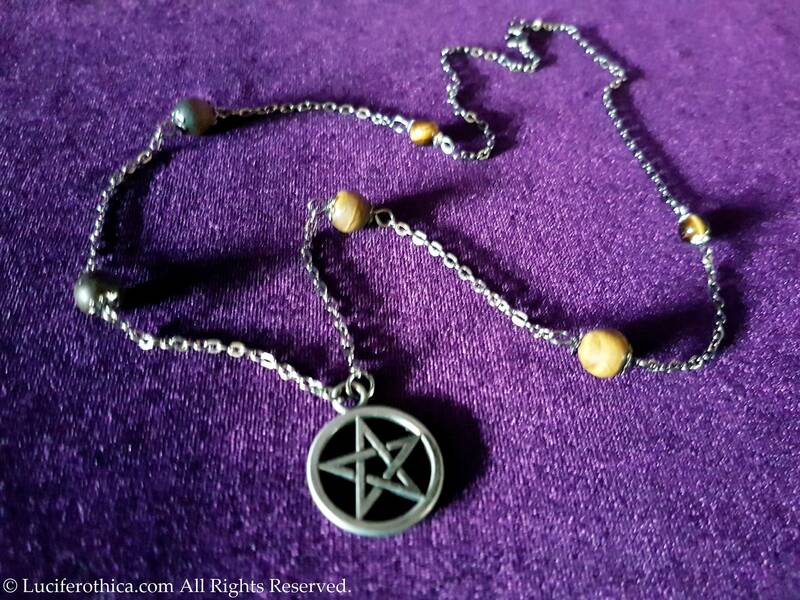 2cm diameter. 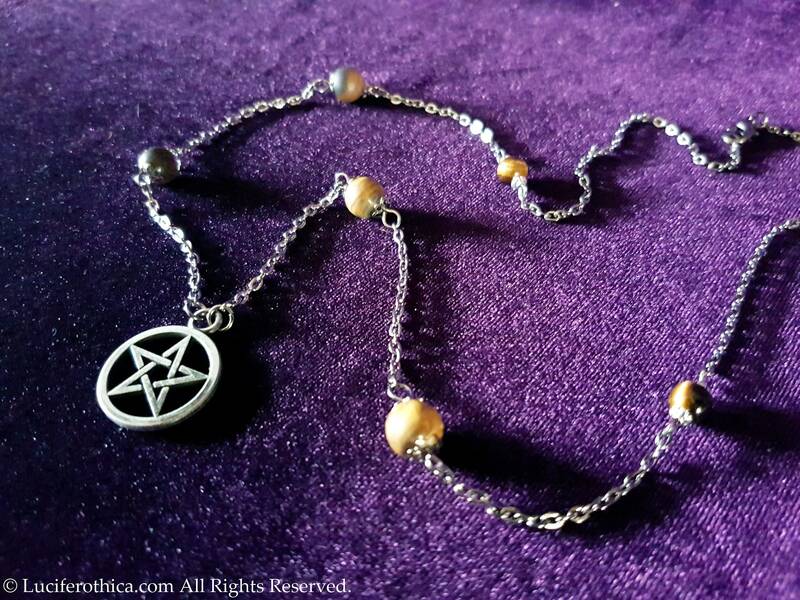 - Several different style of Tigere eye gemstone beads.